Personal stories are the most convincing way to make your point straight. People easily relate to stories and better remember and engage with them. @tejones has been doing a great job featuring personal stories on his site, so let’s learn how it has been working out for him. 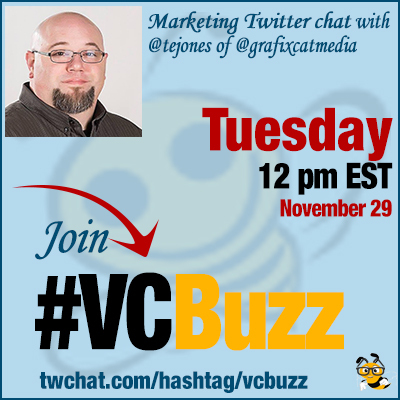 Todd E. Jones @tejones is a B2B writer, WordPress advocate and owner of grafixCat media. Q1 How did you become an online entrepreneur? What’s your career path? You know, I didn’t set out to be an online entrepreneur. I started by building websites using (gasp) Front Page Express. I graduated to another WYSIWYG editor and finally to WordPress. I really begin to learn the ins and outs of WordPress, how to customize themes, develop, etc. I ran some blogs which forced me to learn more. I finally settled on writing as it was my strongest skillset. How many of you guys are currently sorting through cyber specials? crazy huh? Q2 You’ve been sharing entrepreneur stories on your blog? Why did you decide to start the series? What was the goal and did the tactic meet your expectation? I have written about entrepreneurs and startups for a while on other websites. I liked to hear the stories, how they started, what they learned. I had been using the Q&A format, and when I restarted my blog, that was a natural way to go. The goal was to get entrepreneurs to come to the site and, eventually, use some of my writing services. While that hasn’t happened directly, I think I am in a unique spot for next year and this chat would have never happened without doing Entrepreneur Stories! Q3 Can you describe the process? From finding guests to scheduling the content and promoting it. I tried to do one per month. It didn’t quite work out that way, but pretty close. Most of the guests were people I knew, had a connection with already or are entrepreneurs that were known to me. I tried to incorporate those who had a more national/global reach and some who were local in my area, Arkansas. I think it worked out quite well. I have a library of questions I use for the interview. I tailor some more specifically to the actual entrepreneur. I email them to the entrepreneur and let them answer and send them back when they have a chance. I’m looking forward to next year and thinking about who to interview. A writer friend of mine suggested turning a block of the interviews into an ebook, and I like the idea. So, I will make the first edition those from 2016. Q4 Who were your favorite guests? Which stories were the most impressive? Well, I’ve always liked Shama Hyder and Samantha Hartley and followed them closely for some years. I think my favorite most impressive story was Dan Ndombe. He grew up in The Congo and creativity played a large part in his ability to survive in a time when his country experienced war. He is one of those entrepreneurs who is local. He graduated from the college in my town (University of Central Arkansas) and currently lives in Little Rock. I’ve met him several times and heard him speak at TEDxUCA. All of these entrepreneurs are impressive which is why I chose them. I admire every single one of them. Q5 Content marketing is overwhelming! What are your favorite content marketing tools that make you a more productive and efficient writer? One of my clients leaves everything to me, so, I use Grammarly a lot because I am not an excellent grammarian. I also use Google Drive and Notepad. I like Notepad because it is distraction free (mostly). I am trying out Airstory by the Copyhackers team and love it so far. I just purchased Content Upgrade by Audience Ops, and it looks good so far. Landing pages are huge, and I have a LeadPages account and utilize Beaver Builder (for WordPress). Naturally, I love WordPress. I don’t really have a team, so Trello moves me along pretty well. I am a part of the Freelance Writer’s Den (Carol Tice) and have a Den Buddy who helps keep me accountable as we go through some of the boot camps. One more is important, Passpack. I store all my passwords there. People don’t really realize how important this is. I had purchased Sujan Patel’s ContentMarketer.io but it has been discontinued. They have referred us to another service for email outreach. I am a big Copyblogger, Jon Morrow and Kristi Hines fan. We all have our specialty in this arena, and I think content marketing will really begin to reflect that in the coming year or two. That is my intention. I am going to call myself a content marketer that specializes in email, landing page and case study copy. I am in the process of making that adjustment now. No, it is on my short. . . not so short list that needs to be done 🙂 So, good question and I need to do that. By the way, another tool I left off – @buffer no doubt about it.